Lannae's Food and Travel: Trick or Treat! I don't eat white, as they are tasteless. Lannae, hopefully one day you could try the sweet and sour red flesh version. You'll see what I mean. fish fish, For free?!?! 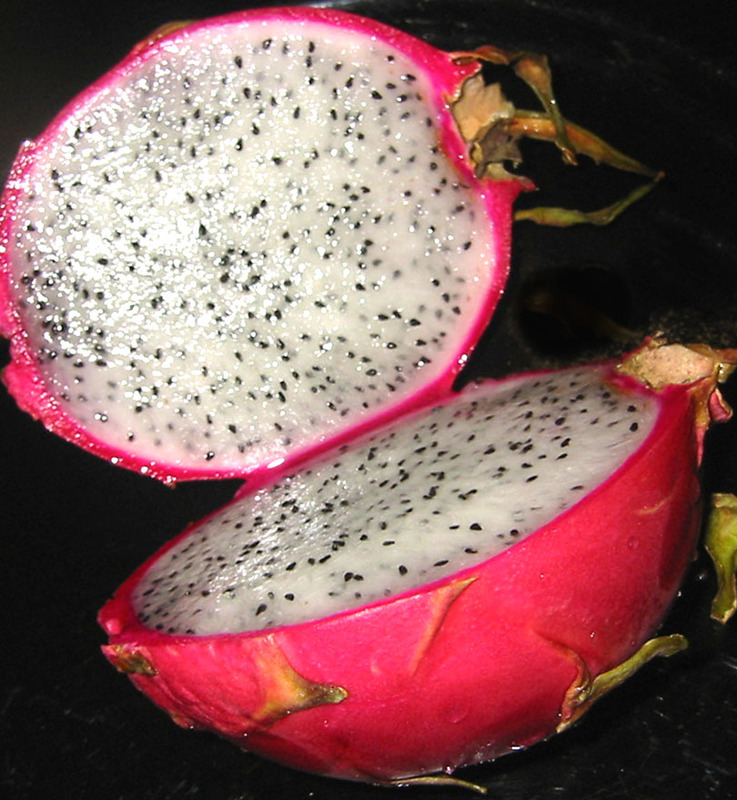 Lucky you to have such a nice friend with a dragon fruit plant. 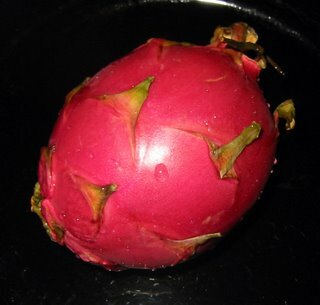 I admit, this fruit has a very light flavor, but it was juicy and refreshing. When I go to Malaysia, I am going try the red ones! How COOL!!! 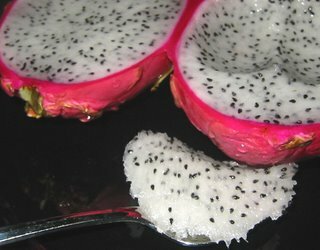 I'll keep my eyes peeled for a West Coast appearance of the Dragon Fruit. Looks like a fun thing for the baby to enjoy too! 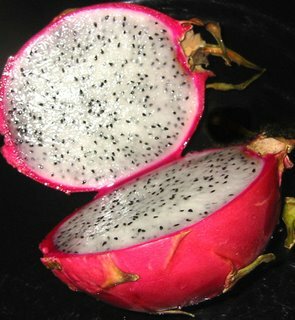 Cookie: I must save up a lot more money before I get to Malaysia, but when I get there, I am going to eat the red Dragon Fruit! I am also going to eat at some of the places you write about! I hope you have a lovely day too! Cakesy's mama-nice costume on Cakesy! I bet you can find the Dragon Fruit at one of the Chinese Markets in S.F. If you do, try the red one, and tell me how it is!